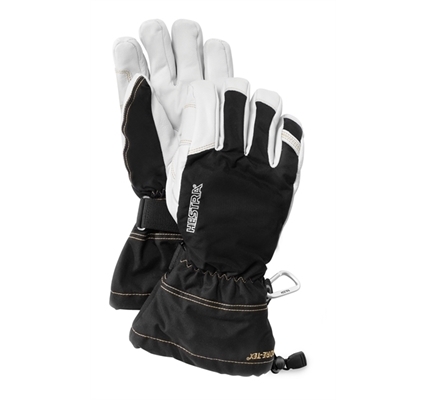 OUTER MATERIAL Upper section made of windproof, waterproof and breathable HESTRA Triton three layer polyamide fabric. Proofed Army Leather-goat leather palm. 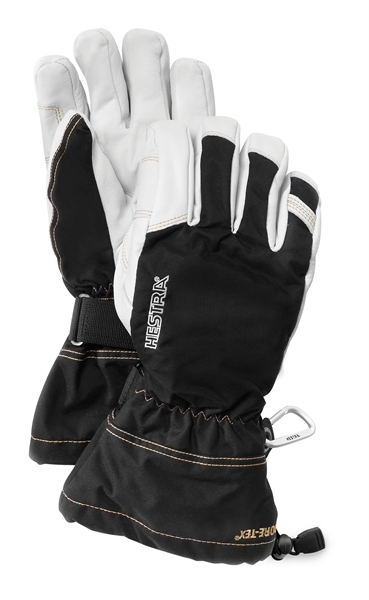 FEATURES Snow lock and Velcro closure. Carabiner. Eagle Grip. Handcuffs.